Westfield first adopted BIM tools and processes in 2009 and has since committed to implementing BIM on all projects from RIBA stage 2. Their approach to BIM goes beyond 3D modelling and visualization with, obligations placed upon all project stakeholders for BIM to be fully embedded within the design as a managed, collaborative process. Where available, models are used in all coordination and decision making exercises in design, planning and construction. 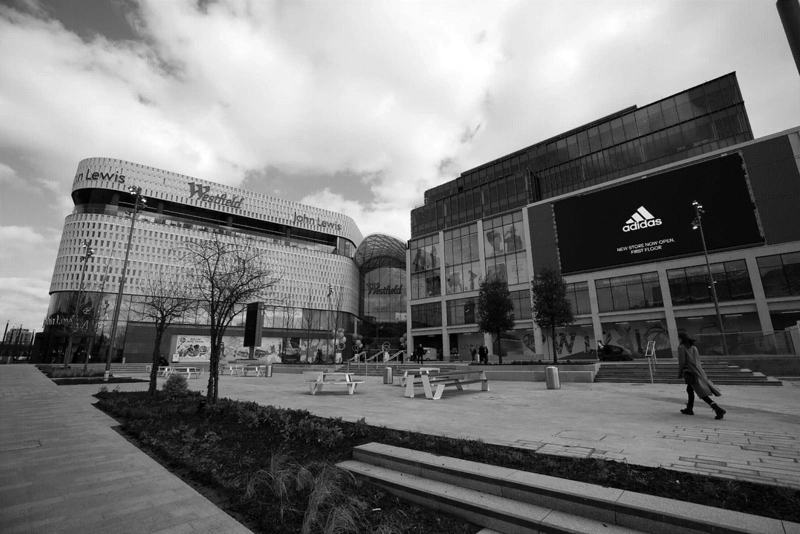 The outputs from BIM are used by all stakeholders both externally and internally across all of Westfield’s functional departments including development, leasing, marketing and centre management. Members of each team involved on BIM projects at Westfield have Solibri Model Viewer installed on their machine to enable them to view and interrogate data in the latest federated IFC model internally without needing access to an authoring tool to open the file. Westfield’s BIM team use the Model Viewing area within Solibri Model Checker at every stage of their projects before running any rulesets for two main reasons; Visual co-ordination and inspection of a federated model, and with custom Classifications. Classifications play a major part in the way project teams at Westfield interpret information and data within the BIM model; For those that aren’t fully versed with the Solibri interface, Classifications allow users to define the way that components, information and spaces/areas are displayed. A great example of this at Westfield is a Classification created by the BIM team that makes Solibri display certain elements with names or codes (I.e. steel columns become structural framing) that other users, often with previous experience in other tools, can recognise more easily without having to learn too many new naming styles for new projects. A key topic when discussing model checking and configuration of rulesets for checking data is “consistency” – and this is something Westfield are grasping and nailing when it comes to the checks they run internally; during our interview with Lewis and Lucas it became apparent that there was a clear message being passed through Westfield projects, a message that ensures consistency and discipline at every stage to allow for a data-rich and accurate federated model. The team has developed rulesets for checking naming and tagging within their models, with live feeds and referencing to a database of codes/tags in the pipeline, which will allow them to further this check and verify that this data is correct.